Half way through the year and not much sign of summer so far. Many of us will be hoping that it comes soon, preferably on the days we choose to be on holiday. May be it will or won’t. At Peninsula we know for sure that when the sun does shine and temperatures rise there will be many employees who will complain that it is too hot to work. It happens every year with many clients calling our 24 Hour Telephone Advice Service for guidance. Unlike the weather our advice is always the same. There is no set maximum working temperature. The Health and Safety Workplace Regulations simply require that, during working hours, the temperature in all workplaces inside buildings is reasonable. That begs the question – what is reasonable? The Health and Safety Executive says that the temperature in workrooms is reasonable when there is no need for special clothing. It explains that for the UK an acceptable zone of thermal comfort for most people lies roughly between 13°C (56°F) and 30°C (86°F). Acceptable temperatures for more strenuous work activities will be concentrated towards the bottom end of the range, and more sedentary activities towards the higher end. Unfortunately a temperature comfortable to one employee may not be comfortable to another. Thermal comfort, as it is known, is a psychological state of mind subject to six environmental and personal factors – air temperature, radiant heat, air movement, humidity, clothing and metabolic heat (the energy input to the work). As a rule of thumb where 80% of the workforce find the temperature comfortable or acceptable and there are no other obvious and reasonably practicable measures that could be taken the HSE would not require further action. 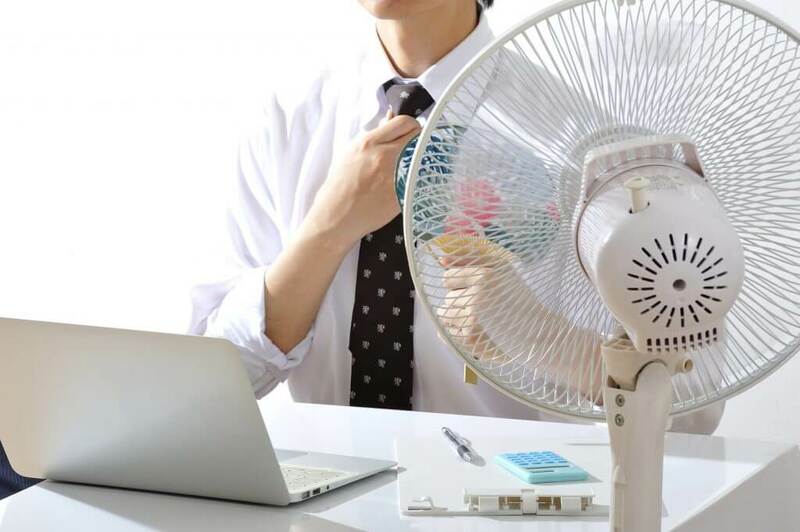 During the occasional, short-lived, heat waves we experience in this country it may not always be possible to achieve a reasonably comfortable temperature throughout a work room. If this is the case local cooling should be provided; and in extremely hot weather fans and increased ventilation may be used. rotate jobs so that everyone has a short spell working in uncomfortable temperatures before moving on to a cooler workstation. Finally, remember that if Personal Protective Equipment is required for a task it is not permissible for its use to be abandoned simply because it is too hot. Other ways of maintaining the workers thermal comfort must be sought. If you are uncertain and need more information or advice call our 24 Hour Advice Service on 0844 892 2785. One of our trained, competent and qualified Business Safety Team will be pleased to offer help and advice.